I just found some of these slings at arachnoaddiction.com, unfortunately, I got the last one. I’m very excited to have them. Congrats! These little guys are amazing, and they’re getting more difficult to find. Where did you find one? Hey Tom, MASSIVE thank you from the UK for this amazing resource that I’ve spent many hours reading over the last few weeks! Thank YOU for stopping by to let me know; you made my day. Hi. I’m enjoying reading your posts. I am growing more and more interested in the idea of having a tarantula. It’s not something I’m planning on doing soon, as it’s clearly different than picking out a kitten they’re giving away in a WalMart parking lot and needs more thought. However, if and when I decide to get one, I know I want a slow mover. That is my top criteria. The slower the better. I definitely want a docile personality, and preferably one that is not as prone to flicking hair at every little shadow that passes by. I can’t imagine I’d ever be big on handling it with any regularity as I understand there are risks for both animal and human, but I’d prefer one that would be less adverse to the occasional handling. Anything over about 7-8 inches is just a no. And preferably terrestrial. Hello! It’s great to hear that you’re taking your time and doing your research. Unfortunately, many folks aren’t as patient or prudent. As for smaller species that are slower moving, I would recommend the Euathlus sp. 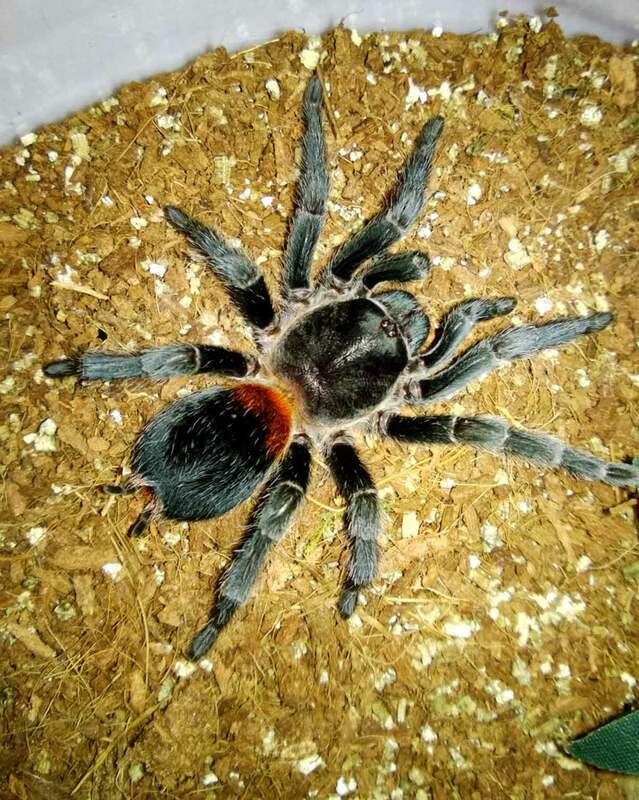 red or the B. albopilosum (Honduran curly hair). The Euathlus is a dwarf and the B. albo gets 5-6″ max. Both are normally very calm, rarely flick hairs, and move deliberately. Just know that if spooked, however, all tarantulas have “spider speed” (they can boogie for short distances). Hi Tom! I always love reading your articles! I had an adult female Euathlus until she recently suddenly died in a molt 😦 I have no idea why (good temps, humidity, and well fed). I know sometimes it just happens. She was such a great spider! 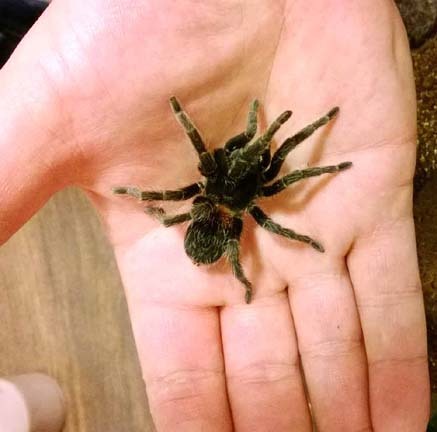 Anyway…I bought two very tiny slings from Tonya (Fear Not Tarantulas) last night! I fed them each a fruit fly (which they appear to have eaten). Since slings are somewhat notorious for refusing food, do you have any suggestions should I encounter that problem in the future? Congrats on your new slings (and so glad you picked them up from Tanya. :)). If they start refusing food, you can always try them on pre-killed. For a tiny sling, cricket legs work fine. Or, you can cut up a meal worm into segments. They will scavenge in the wild, so you can use that behavior to your advantage. Sometimes, it’s easier than offering the tiny live prey. Also, the warmer they are kept, the faster their metabolism and the more they will usually eat. Try keeping them in a warm corner or up high where the heat is to encourage the appetite. And, of course, be sure to add some moisture in there. For a sling, I would make a little grove down the side, and pour water in so that it keeps the bottom layers moist. It can then burrow if it wants a bit more moisture. I hope that helps! Unfortunately, I haven’t seen too many of them for sale lately, especially larger specimens. You could try Net-bug. Anastasia sometimes gets in sexed females. Besides that, you could try Pinchers & Pokies. I wish I could be more help!